As well known, lie has short legs, and apparently it is Samsung’s case since it was discovered they use false technology. It was announced by a jury that ruled in favor of Apple that the company will receive 539 million dollars as compensation by the South Korean giant that copied some of iPhone’s characteristics to get more consumers. Since 2011 the company of Cupertino had perceived Samsung’s plagiarism aiming to be one of the heads in the strong cellular phone market and even to displace them. According to Tim Cook's company, Samsung copied technology to develop a line of similar devices running Google's Android. The two titans of the mobile devices’ manufacture have fought for a decade for the total dominance of the market, a competition that has led to the constant evolution of mobile telephony, and that represents for the consumer a vertigo confrontation that counterattacks with a new model when a new one appears. The rivalry between the two was taken to the courts in 2011 due to Apple's suspicions of patent theft by its contender. Samsung bit a poisoned apple and now the Californian Company will receive financial compensation from the South Korean electronics giant. Initially the figure set was 1,050 million, but Judge Lucy Koh reduced that amount to 548 million. According to the announcement, the ruling didn’t include the profits that the South Korean company obtained from the products copied from Apple. The judges considered that only some of the patents were violated, so penalizing Samsung for a larger amount would have been an injustice. Before the defining decision, the Supreme Court of the United States in 2016 had determined a review of 399 million dollars of the total amount prescribed. Now an eight-people jury determined the new amount to pay after a week trial and a four-day deliberation in a federal court in California. Apple though expressed its gratitude to the jury for forcing "Samsung to pay for copying our products," wished the South Korean firm would pay a trillion dollars. On the other hand, Samsung considers that the final figure should have been reduced. In a statement from the South Korean electronics giant, they valued that such a decision could go against creativity and fair competition for all companies and consumers. Meanwhile, Apple considered that the case as more about the money than the technology. 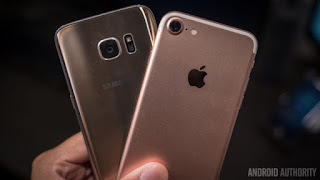 The representatives of Apple believe that their company unleashed the revolution of the cellular phones and that Samsung copied their designs openly, a fact that should have been penalized. With this movement, Iphone’s followers checkmated Samsung’s followers who consider the South Koreans the absolute leaders of mobile technology. For the Californian Company it has been a victory, because, in addition to the large money disbursement, it also showed that Apple is the undisputed leader in technological innovation for mobile phones. However, in the current market conditions, despite the amounts of money that Apple is collecting from abroad and redirecting to the United States thanks to the new tax reform, the number of users who prefer Samsung remains a threat to them. During the last quarters, sales have closed below the estimates made by financial groups. The fall is due to, among other factors, the availability and wide range of products that Android has for the phones that use their system.